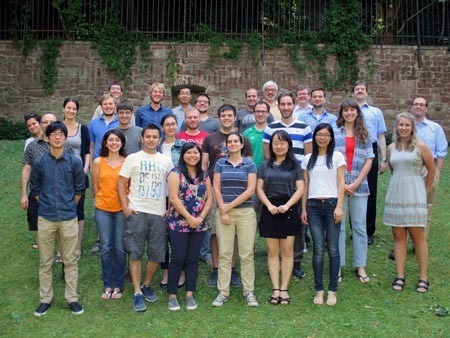 Laura Comprido, a second year Ph.D. student studying organometallic chemistry at Heidelberg University said, "The student projects were really interesting, and it was nice to hear presentations on such a diverse range of topics in computational chemistry. The workshop had such a great atmosphere, and that made the experience even more worth it." The summer program is part of a larger collaboration between Heidelberg and Notre Dame established in April 2014 with a memorandum of understanding that served as an exploration of joint research, academic exchanges, and other cooperation between the two institutions. Funding for this year’s program was provided by the Global Collaborative Initiative International Research Funding program administered through Notre Dame International. Originally published by Stephanie Healey at science.nd.edu on July 13, 2015.